We work with your creative team to design a captivating, functional space that perfectly highlights your brand. Imagi-Motive has the in-house ability to create and install any activation. We also create some of the most attractive kiosks in the industry. Imagi-Motive has partnered with Event Outfitters to offer the full range of tour services. We can now manufacture, manage, and staff your marketing tour with only one point of contact. We can get you into the events that best build your brand. Imagi-Motive, with Event Outfitters, can staff your nationwide tour. Our staff is equipped to drive and setup your custom vehicle or trailer anywhere in the country. We also have relationships with brand ambassadors across the country so your brand is always properly represented. 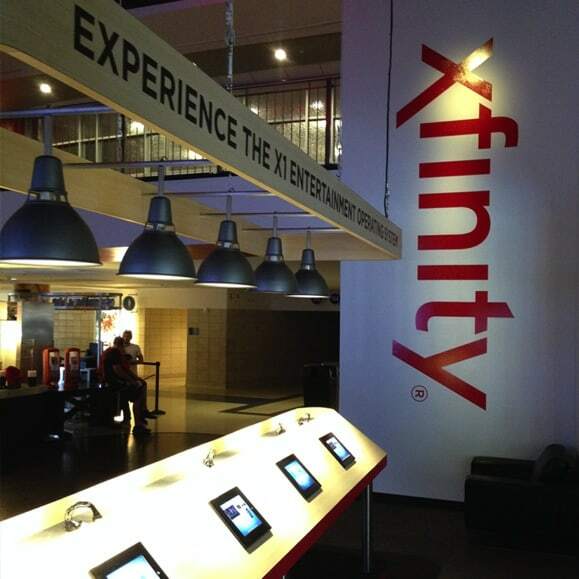 This activation was completed for GMR Marketing and Xfinity by Comcast, and installed in the Toyota Center, home of the Houston Rockets. 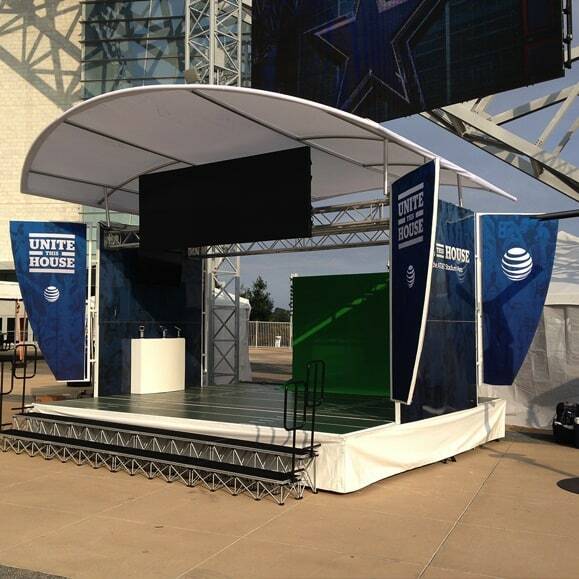 We created the two kiosks off-site and transported them to the stadium for installation. Once on site, we rebranded the area via paint and graphics, installed the interactive technologies, and ran the electronic components. This stage trailer is THE transformer of trailers. Going down the road this trailers doesn’t garner any attention. When it’s deployed, on the other hand, people flock to see it. When the platform, not the frill around it, can draw attention, the brand doesn’t have to work as hard to gain participants. This is the power of custom, Imagi-Motive engineering. When you need your experiential campaign to go off without a hitch, trust Imagi-Motive.